You have served your time as a veteran, so there should be no legal obstacles to receiving disability benefits. Unfortunately, many disabled veterans do encounter challenges and will go without financial support because of the hassles in obtaining benefits. Our VA-accredited lawyers at the Comerford Law Office, LLC will fight for your rights, just as you fought for our country. Please contact our firm to schedule a consultation with a Gary Veterans’ attorney, and review some information on what to do about your claim for disability benefits. 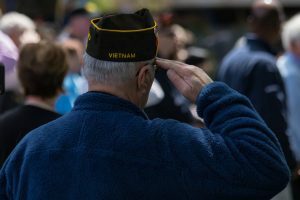 The Veterans’ Benefits Administration has strict requirements to qualify for disability benefits and only the most exacting proof will suffice. Your current disability must be related to your time of duty. Once you prove eligibility, you can receive benefits based upon your percentage of disability. Your payments are tax-free and not subject to offset from Social Security benefits. VA benefits lawyers go through years of law school, and then on to gain considerable experience in the area of veterans’ disability claims. These legal professionals have in-depth knowledge of the laws and procedural rules on how to appeal a denied claim of disability benefits, including filing a Form 9 and other support documents. Our attorneys at the Comerford Law Office, LLC pay close attention to every detail in the process to make sure there are no mistakes that can lead to delays. If you do not have a legal counsel to assist you, you put your claim at risk. At the Comerford Law Office, LLC, we understand that you may already be facing financial challenges as a disabled veteran. You should not have to confront a complex filing process alone because your budget does not allow you to hire a VA benefits lawyer. Our firm charges legal fees through a contingency fee arrangement, so you do not pay unless we recover benefits on your behalf. Once we obtain a favorable outcome in your case, we charge a percentage of the total and pay the remaining lump sum out to you. While this general overview may be useful, it is no replacement for the advice of a VA benefits lawyer. If you were denied or have questions about the application process, please call 312.863.8572 to schedule a free consultation at the Comerford Law Office, LLC. 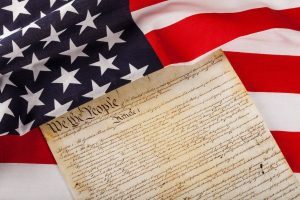 As a member of the National Organization of Veterans Advocates (NOVA), Attorney James Comerford has the skills and qualifications to protect your rights.